Continue reading Ring stands are up! 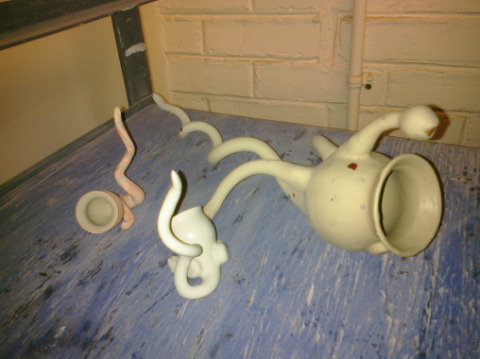 Thought I’d start off this blog with a picture of a few pieces on the shelf waiting for the glaze kiln. These should be out early this week – I’ll post again when they arrive!